The Chamber of Mines of Zambia has recently announced that the country’s copper production rose by 0.5% to 711,515 tonnes in 2015 from 708,000 in 2014 despite a fall to multiyear-low in the commodity international price and a power shortage that made mines to reduce output. 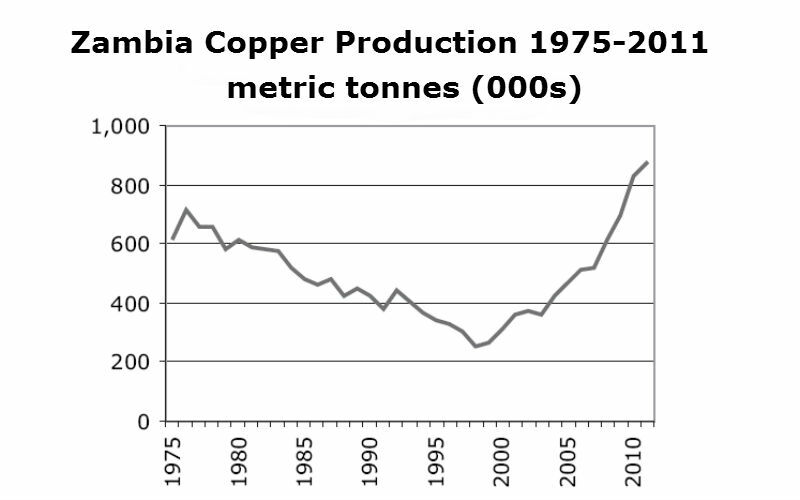 The higher output is in line with a previous announcement made by Zambia’s Finance Minister Alexander Chikwanda, whom on the budget speech in September, 2015, explained that even though international prices of copper had hit a six-year low at USD 4,855 per tonne in August, 2015, the country would easily beat 2014’s production, supported by private mining operators. According to the Chamber of Mines of Zambia, First Quantum Minerals Limited (TSX:FM) was one of the main contributors to beat last year’s production with the development of its Sentinel project which contributed with 32,952 tonnes even though it is still at development phase. This production helped to compensate part of the output cut by companies like Glencore and Vedanta Resources which closed several operations and executed laid offs during 2015 to try to curb the country’s output and support copper international prices. It helped the commodity price to rebound to approximately USD 5,300 per tonne at the beginning of Q4-2015, however, Zambia budgeted a price of USD 5,000 for 2016 to prevent future low copper demand that has been in line with recent drops to new multiyear lows. Copper is currently trading at the London Metal Exchange (LME) at USD 4,533 per tonne and Zambia’s government is currently working to establish and affordable royalty tax rate for open pits and underground mines that would be adjusted according to the volatility of the copper price. Zambia currently ranks 8th among the Top 10 copper producers in the world with Chile topping the list with a production of 5,745,000 tonnes per annum according to Mine Web, an online media involved with mining research. In Africa Zambia ranks second behind the Democratic Republic of Congo (DRC) with a production of 905,000 tonnes per annum. Copper mining accounts for approximately 10.0% of Zambia’s GDP and 70% of total exports’ revenues according to Zambia’s Ministry of Commerce, Trade and Industry (MCTI).